At Olioboard.com you can create moodboards using real products from all your favourite brands. It's effective, smart, and most importantly it's sooooooooooo fun. Create a Moodboard Oh, and did we mention it's completely free. Like mother…like daughter! 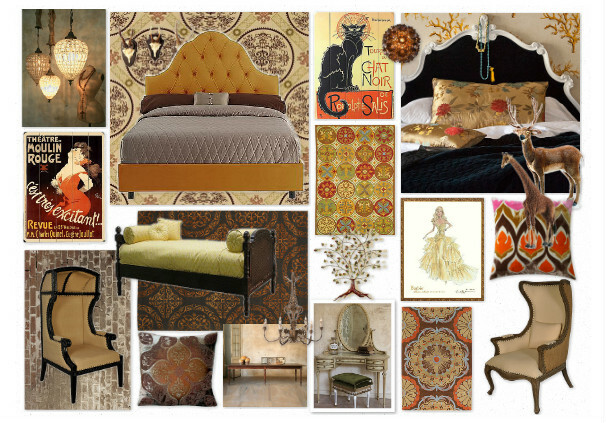 For the love of mothers & daughters, we wanted to showcase correlating lifestyle bedrooms. Whether you want to express a vintage modern flaire, bohemian fashion or the beauty of natural woods & finishes, here are some fabulous M&D parings to enjoy! Vintage Modern M&D Bedrooms! 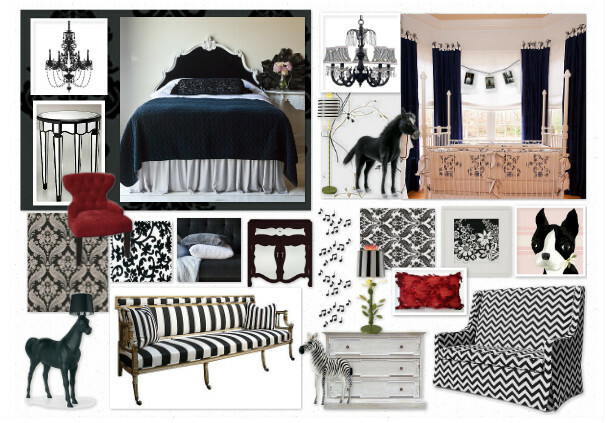 Nothing says vintage modern glam like the PoshTots Mambo Ride-On Zebra and the moooi horse floor lamp by Occa-Home. For the high fashion, vintage modern bedroom, create a statement with works of art and craft a haven for peaceful sleep by selecting layers of rich satins pillows & lush glam bedding. We like the timeless quilted Bella Notte Satin Quilted Coverlet and Bella Notte Satin Quilted Throw Pillows (both from PoshTots.) Don’t forget mother-daughter mix-and-match, chandeliers and fabulous works of art. Featured above: PoshTots Black Gingham Rose Chandelier. Natural M&D Bedrooms! For a more relaxing and calming bedroom, go natural! Blue is a perfect accent color to promote peaceful sleep & relaxation. 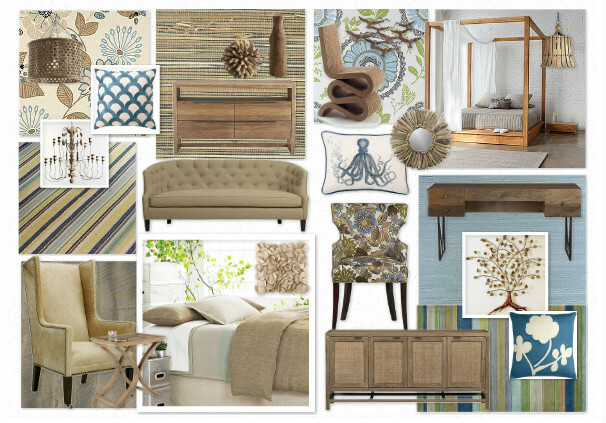 To add a pop to natural finishes & fabrics, select some patterns & stripes in your rugs and upholstery. We love the festive feel of the Starboard Rug from PoshTots and the botanical feel of the Sasha Arm Chair from Crate&Barrel. Bohemian M&D Bedrooms! It’s time to have a little fun with home decor fashion! The bohemian lifestyle is all about rich textures, bold colors and an eclectic, unexpected mix of pieces. Go rich with rugs! Choose hand-tufted & hand-made rugs, like the Satara Medallion Wool Rug in Rust from PoshTots. For the true bohemian, make sure to select at least one avant-garde piece, like the Portero Chair and the Julian Relax Chair. Both from Layla Grayce. Dream Big! Enter our PoshTots Children’s Bedroom Contest by Jan 31st for your chance to win $500, $250 or $125 in store credit from PoshTots. Don’t forget to include at least 5 items from the PoshTots collection for your board to be eligible to win. Click on the link above for all the details. ~ Good Luck! Design Your Perfect Room with One Kings Lane and your could WIN one of three giftcards up to $400. Have something to say? Got an idea for a great post? Feel like just saying hi? I’d love to hear from you. You can reach me here.